I believe that every student should study literature as part of a well-rounded solid education. I’ve been looking for years for a curriculum to study literature. Last year as part of the crew, I was exposed to a series called Excellence in Literature written by Janice Campbell. These are published by Everyday Education. I really liked what I heard about Excellence in Literature and so while at my homeschool convention this past summer, I purchased the British Literature Survey course for my oldest daughter. Imagine how thrilled I was when I saw a vendor interest form asking for my level of interest in book one, Introduction to Literature. Janice Campbell divides Introduction to Literature into 9 units. Designed to take approximately four weeks each, each unit focuses on one literary work. Except Unit One. Unit One focuses on short stories. Honors Text: A list of one or two additional pieces to read for the Honors Track. Something to think about… Ms Campbell will give a related fact or detail usually related to the period of the piece such as “Many novels in the Victorian era dealt with the sad plight of orphans or the horrors of boarding schools and poorhouses.” (Unit 4) and then pose a question for the student to ponder. Be sure to notice… Similar to the above section but points out literary features and then poses a question. Assignment Schedule: Assignments are listed by Week. Week 1, Week 2, Week 3, Week 4. Student must learn to manage their own time and break weekly assignments into daily segments. Click HERE to view a Sample Lesson. For more information about this particular level click here. Thoughts from BooBooBear (11th Grade): I really like how Ms. Campbell has it laid out. She gives you the framework to create your own schedule. It’s very loose and flexible which gives you the ability to go as fast or as slow as you want. I like how she has all these resources to look a little deeper. I think it was very helpful to use her recommendations of Teaching the Classics and Elegant Essay. Having Teaching the Classics as a background helped me to formulate the questions for my approach papers. I’m looking forward to doing more units in the Excellence in Literature series. I do feel though that she didn’t quite make it clear enough what to do with the honor’s texts. My Thoughts: I appreciate that this curriculum is written to the student and develops independent learning skills. I also appreciate all the information included such as “How to Read a Book”, “Discerning Worldview through Literary Periods” and the “Frequently Asked Questions”. Both of my girls, as well as myself, appreciated having formats available for reference to helsuch as “Approach Paper Format”, “Literary Summary Format” and “Author Profile Format”. I received the E-book format but I think I would love having both the e-book and the physical book since I have multiple children who will be using this program. In the course overview section, Ms Campbell writes “If you are not sure of your skills in literary analysis or essay writing, there are two resources I strongly recommend.” She lists Teaching the Classics by Adam Andrews and The Elegant Essay Writing Lessons by Lesha Myers. Based on my experience, I believe that this course would have been too difficult for even my 11th grader if she had not already begun to work through those two programs. Those programs can be done concurrently along side Excellence in Literature. Excellence in Literature is intended for use by students in grades 8-12. Introduction to Literature is available in both print format ($29) or e-book format ($27). You can click here for ordering information. In addition to the Excellence in Literature series, Everyday Education has several other products available such as Transcripts Made Easy, Spelling Made Easy, and Grammar Made Easy. Click on the banner below to read what my fellow crew mates had to say about Introduction to Literature All information is correct and accurate as of the date of this review. The other night we tried an experiment for dinner (sorry I didn’t think to take pictures!) and I think it turned out very well. For lack of a better term I told the girls it was “hash”. My oldest daughter said “Was this an emealz?” I said “Nope, I made it up!” She then asked me for my inspiration. Thought I would share it with all of you. A few months ago at Bible study, we were discussing sauerkraut and the different ways to use it. I’ve been meaning to try it rinsed and fried with potatoes but just hadn’t gotten around to it. A week or so (or more?) ago one of my emealz was “beef hash”. It called for frozen cubed hashbrowns. I knew I wouldn’t have any left over roast so I planned to use some cooked ground beef. Well we never made that recipe because… well because life happens <grin>. So then I was at the grocery store with Honeybear and we found smoked sausage on sale. Hmm, could I do something with sauerkraut, cubed hashbrowns and smoked sausage? Why yes, I think I could. First I sliced about 1 lb of smoked sausage links diagonally and browned them. I tossed them into my 11 x 13 baking dish and used the same frying pan to cook the hashbrowns getting them nice and brown. In the meantime I took some sauerkraut, drained, rinsed and drained again. When the hashbrowns were finished, I tossed them in with the sausage and browned the sauerkraut. After mixing it all together, I popped it into the oven at 350 degrees for 20 minutes or so just to make sure everything was good and hot. Ok truth be told the I’s should all be We’s because BooBear and I took turns standing and frying. It turned out far better than I anticipated and was a huge hit with the whole family. We’re going to try omitting the smoked sausage, adding some peppers, onions and whatever veggies I might have and increasing the sauerkraut to try for one of our meatless meals. With the Nativity Fast just around the corner I’m on the look out for some new meatless meal ideas. Words are powerful tools. They can be powerful weapons. It grieves me when I see words misused and tossed around in hurtful ways. “Everyone” knows that communication on the Internet is difficult. We bring our conceived notions and ideas and even our presumptions to the table when we read an email or forum discussion. We cannot hear the tone of the person writing. We cannot see her face. We cannot read his body language. We interpret what we read through the lens of our own knowledge, experience and understanding. And most of the time we get it wrong. But miscommunication happens just as much in face-to-face contact as well. I don’t know how many arguments, disagreements and fights could have been avoided if my husband and I had stopped to truly hear one another. Even having the body language, facial expressions and vocal tones, we still talk past each other bringing our own baggage to the table. It grieves me when I see words taken out of context and twisted and held against the speaker. It grieves me when I see two people striving to communicate but neither one hears the other. I’ve heard it said that we should strive to first understand the other person and then seek to be understood. So many times I fail. So many times I think I am so sure that I know what the other person means that I focus on making sure she knows what I mean. Last year as part of the TOS Crew my family had the opportunity to review Wits and Wagers (Family Edition) from Northstar Games. (You can read my review here.) We noticed then that Northstar Games had listed Say Anything (Family Edition) as “Coming 2011”. We spent the summer looking through game shelves but hadn’t found it. Then this year’s Crew began. I saw that Northstar Games was an upcoming vendor. We were thrilled to be chosen to review this new game. From the Rules: Overview (Read to new Players) Say Anything is a light-hearted game about what you and your loved ones think. It gives you the chance to settle questions that have been hotly debated for centuries. For instance, “What magical power would be the coolest to have?” or “What would be the most fun thing to throw off a tall building?” So dig deep into your heart or just come up with something witty- this is your chance to Say Anything! Requiring at least 3 players and allowing for up to 6, players should be at least 8 years old or able to read and write fairly well. The game is easy to learn and a full game only lasts about 30 minutes. To play the game you have a judge (the youngest person gets to go first as judge) who reads a question that begins with “In my opinion”. All players *except* the judge write an answer and place answer face up on the table.. After all players have given their answer, the judge uses the “SELECT-O-MATIC 6000” to record their choice of best answer. The judge places the selector face down on the table. Now the players try to guess which answer the judge picked. Each player has two tokens. You place your tokens however you want to indicate which answer you think the judge chose. Reduced Down Time—Unlike most games where each player takes a turn and you are just sitting there waiting for your turn, Say Anything involves all players in every turn. There is a bit of waiting if you are really fast and you write your answer first and you have to wait for others to finish or if you are the judge and are waiting for the other players to write their answer. Saves paper-- Say Anything uses wipe off boards and dry erase markers for players to record their answers. Even the scorecard is a wipe off board so it can be used over and over again. No need to scrounge for paper and pencil. Even the dry erase markers are included. You do need to provide your own napkins or tissue for wiping the board though. Interaction of players: I think the best part of the game is when players try to convince the judge to choose his or her answer. I loved hearing my children justify their answers. My favorite comes from my 12 year old, Tailorbear. She said “It wouldn't be cool to be a cyborg. You'd have a fake leg and have to have interchanging parts. Oh wait. That would be cool.” We all laughed so hard! I laughed so hard I cried. This interaction of players helps to build relationships and encourages my sometimes socially awkward daughter to feel more comfortable in expressing herself. There can be more than one winner: In this game you can have multiple winners. No need to worry about ties for first place and trying to break the tie. Tailorbear thinks this also makes the game more fun because she is less worried about losing. It’s a lot of fun. My whole family agrees it is a lot of fun and brings lots of laughs. Great way to make memories. Supergirl isn’t really reading and writing just yet but she wanted to participate so we created an adaptation that allowed her to play along. We skipped her turn as the judge but gave her the maximum number of points a judge could win. When others were the judge we had her tell us her answer verbally and someone would write it for her. We would read the other answers to her so she could choose where to place her tokens. I don’t recommend playing the game with young children however. If you have young children who want to play with the older children and parents, this worked for us. The list price for Say Anything Family Edition is $19.99. Although not available at this time directly through Northstar Games, you can check your local book or game store or check with your favorite online retailer. You can click here to find the retailer nearest to you. Some of my crewmates this year had the opportunity to review Wits & Wagers Family Edition. Click HERE to read those reviews! Early Life: narrated as if Mr. Carver himself is telling us about being born into slavery and his father dying and other tidbits from his early life. College Years: with scenes from the different places Mr. Carver traveled we learn about how he worked his way through several schools. Tuskegee Years: An overview with photos of his time at Tuskegee and his commitment to his students. Final Years: This part contains actual footage of Mr. Carver! Though a narrator speaks for most of the DVD, we actually hear Mr. Carver’s voice as he gives a speech. We enjoyed some parts of the DVD more than others. We particularly enjoyed the bits and parts of real time footage of Mr. Carver before his death. It was interesting to hear his voice as he gave his acceptance speech and to watch him at his desk. My music loving 16 year old appreciated the musical score on the soundtrack. We all appreciated the beautiful nature shots showing gorgeous, colorful flowers. Although the website recommends this for grades 4 through adult my 16 year old, 11th grader thought it was a bit on the young side for her. She said it seemed appropriate for “middle grades”. My 9th grader says it wasn’t too babyish: “It was a summary and it was very informative.”. I would not call this video entertaining but it is educational and it is indeed informative. I did not know that he always signed his work George W. Carver and that he didn’t really use the Washington part of his name. We did not use it, but there is a study guide with discussion questions available on the website here. You can order this dvd or any of their other educational historical documentary DVDS by visiting the website at www.marshallpub.com or calling their toll free number 888-300-3455 between 9am and 7pm CST. Click on the banner below to read what my fellow crew mates had to say about this DVD. Some of my fellow crewmates had the opportunity to review the Fire Safety package. Those reviews can also be found by clicking on the banner :) All information is correct and accurate as of the date of this review. It’s been a rough week. Actually it’s been a rough fall. We had a rough start to our school year with 3 of us having confirmed strep. This weekend (well starting on Friday) we’ve had 3 visits to Urgent Care in 3 days. It amazes me how one or two people being sick can throw off our entire family. Especially if one of them is mom and the other is mom’s right hand (aka The Oldest Daughter). I posted about how our schedule had gotten all out of whack and we had an afternoon tea party meeting to sort things out. Things are so crazy here that we’ve barely started implementing some of the changes and then <wham> <bam> we get hit again this week. Things are so thrown off that I haven’t been blogging as much either. I’ve got several reviews coming up and I really like posting in between reviews but this coming week you might see reviews back to back, something I prefer not to do. If you’re lead to pray, my family sure could use the prayers! Now that our home school is in full swing, I need help with making dinner. Some days are just too full with coaching and mentoring two high school students as well as one junior high student. Throw in Supergirl’s educational challenges (she’s working at first grade level) and I’m not sure I have any functioning brain cells left to think about dinner. Thankfully for the last 6 weeks I haven’t had to think about dinner. As part of the TOS Homeschool Crew, I received a 3 month subscription to e-mealz. E-mealz is a menu-planning (with grocery list included) subscription service created by Jane DeLaney. For $15, you receive a menu plan with a grocery list each week for three months. E-mealz offers several different plans and options. You’ll want to explore the options tab to see which plan would suit you. Each option is clickable so you can read about each plan and each description includes a sample menu and grocery list. I wasn’t sure at first if e-mealz would be a good fit for my family. I’ve always made menu plans and have even blogged about creating a rotating menu plan but creating menu plans every week is mentally exhausting and using the same menus over and and over again such as a rotating meal plan gets boring. But would I like the meals? Would my family eat them? Would it really save me time and money? I wish I could adequately describe how much my stress has been relieved with e-mealz. I don’t have to stress out about what’s for dinner. Because of the detailed grocery lists that tell me even which staples I need, I know that I will have everything to make dinner. No more last minute changes or extra trips to the grocery store because we’re out of some key ingredient. Though there have been some weeks of meals that had more hits than others we’ve had many meals we’ve enjoyed. Of the meals that we actually tried, there was only one that didn’t quite work for us. We won’t be making that one again but we did find several meals that the girls have asked if we could do them again. Here’s a picture of Tailorbear’s favorite meal. We’ve actually made it twice now. It’s a penne pasta with smoked sausage and summer squash and a picture of a cheesy baked tilapia. We’ve made that one twice now too! I found e-,mealz easy to adapt for my family. We prefer creamier sauces and the recipes just do not seem to make enough “sauce” or “gravy” but I had not trouble doubling ingredients to make it more appealing for my family. For example in the Penne Pasta it called for 1/4 cup cream and 1/2 cup milk. I just knew that would make it a very dry pasta. I don’t do dry. So I doubled the milk and the cream while keeping the cheese the same and it was perfect. Here’s another picture of a recipe I adapted. This is a keeper as well and I plan on making it again. Instead of putting the rice in a baking dish and toping with pork pieces and sauce, I made the sauce with chunks of pork and served it over cooked rice. This allowed me to use less meat and make the meal more economical for my family. My Final Thoughts: We found e-mealz greatly reduced my stress and saved my sanity. It saves me time. I didn’t think I would need a subscription service to make menu plans but this is well worth the $15 every three months. It’s easy to adapt the meals for my family size and our preferences. We get to try new recipes that I would never have tried otherwise. If you struggle with “what’s for dinner” or with making a grocery list and remembering to include staples like spices, oil, flour or sugar you may want to give e-mealz a try. For more information on how the program works click here. To view FAQ click here. To purchase a subscription click here. Click on the banner below to read what my fellow crew mates had to say about e-mealz: All information is correct and accurate as of the date of this review. ““I’d have to say Emma. I’d say the conflict theme is man versus self so Emma’s really in conflict with herself” She agreed and brought up Frank Churchhill and how he just wasn’t really the antagonist. 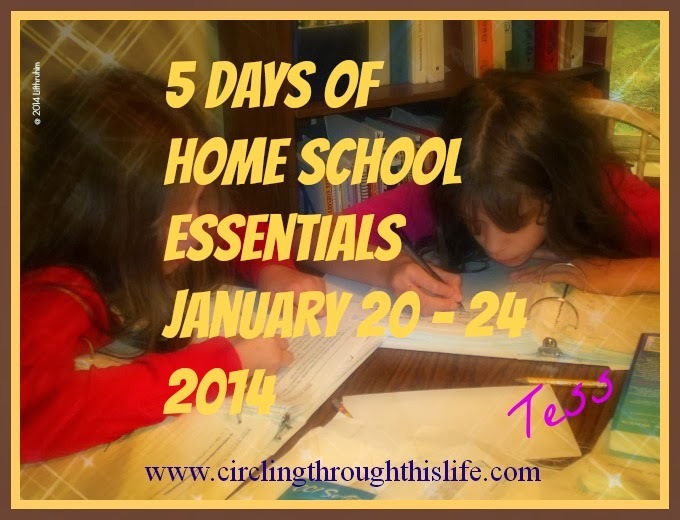 Every now and again we have a day in our homeschool schedule that seems driven by the TOS Homeschool Crew. (Check out my sidebar of upcoming reviews with links to the products and/or vendors). I usually try to space things out and we work review products in our school schedule. Every now and again things get thrown off because Daddy takes a day off so we can go to the Greek Festival in town or there’s a federal holiday and dad is off work or we get strep throat or… well.. life just happens. Today was one of those review driven days. We have several new programs to add into our schedule. We also needed to focus on a couple things that are review related but aren’t items currently being reviewed. Maybe I should have said today was Institute for Excellence and Review driven. It feels like everything we did today some how related to either IEW or the Review Crew. A math program for Tailorbear. Supergirl gets to try one of the workbooks too. I think both girls will like this new math program. A Latin program for the three “big” girls. I really expected the girls to give me some grief about it but they liked the dvd lesson. The teacher reminds them of Dr. Rodney McKay of Stargate Atlantis. They had Supergirl convinced the teacher is Rodney’s cousin. <sigh> I think we watch too much Stargate here. An SAT Prep Course for BooBear. She and I are both so thankful for this resource. I’ll use it again with Turtlegirl maybe next year. Teaching the Classics with BooBear—this is not published by IEW but is recommended by IEW and sold by IEW. It is also recommend by Everyday Education (Excellence in Literature). We’re reviewing Excellence in Literature’s Introduction to Literature and I purchased the British Lit program. IEW Student Writing Intensive C with Turtlegirl. She is going at a slightly slower pace than her older sister. We went over her 3 paragraph/topic paper on <drum roll> rocks. She loves rocks. Oh hold the presses… we did do something that wasn’t IEW or Review related! Turtlegirl and I spent some time going over her Sonlight Core 200 History of God’s Kingdom student guide. We put the parts into different binders. I have to say it was a more relaxed kind of day. I had a list of 11 things I really wanted to get done today. I have check marks by 8 of them. That feels really good. I think every now and again it’s a good idea to attack the day a little differently. Investing my time today with meeting with the the high school students means they can move forward with new assignments leaving me with more time to focus on the other two students. My oldest daughter wants to have her own piano studio someday. She’s planning to have her own business providing private piano instruction. We both were so excited to have the opportunity to use and review the Principles of Marketing course from Professor in a Box. Also known as Basic Marketing, Introduction to Marketing, Fundamentals of Marketing, Marketing, or Marketing Principles, Principles of Marketing retails for $119.99. This course can be completed by any high school student with basic reading and math skills. Professor in a Box also offers a money back guarantee! For more information click here. For more information about Principles of Marketing click here. Would you like to see a sample of chapter 1? Click here. Includes a lesson plan for the course. There is a file included containing lesson plans for the Marketing Course. Each activity also gives a time estimate so students can budget their time! The syllabus also suggests how many lessons to complete based on a semester (Aug – Dec for example) or Full year (Sept – May) time line. Everything a student needs is available through the disk! Well maybe not everything. Student should still have paper and pen available and may want a printer but all necessary course content is included. It even includes online resources. There is no bulky textbook to try to wade through. Quizzes and Exams are interactive! The chapter quizzes and the exams can be completed right on the computer! The program even keeps score and provides a grade. If you do not get a minimum passing score on a quiz it instructs you to go back and re-study the material and take the quiz again. It is independent! I love that my daughter can do this without me. I love that it is set up with lecture slides and that I am not doing the teaching or the grading. I love that this is training her for college. Thoughts from my 16 year old: I would recommend it to other people because it gives the information in small chunks that are easy to swallow. It’s not overwhelming. I love how it is formatted and that the quizzes are on the disk and you can take them on the computer. I really really really liked it. The piano business is very very different but this program might give me some ideas I can use. I don’t recommend this program for anybody who doesn’t like the computer or doesn’t like having a class on the computer. There is one negative, or drawback with this program: It doesn’t save the scores. There is no student log or way to access quizzes already taken. This isn’t a significant enough of a drawback, however, to cause me to NOT recommend the program. I just recommend that students be encouraged to do a “print screen” or to write down the quiz score so it can be recorded. I plan to have my 14 year old use this course as part of her high school studies. In addition to Principles of Marketing, Professor in a Box also offers Financial Accounting, and a universal Study Guide for Financial Accounting. A few of my fellow crewmates also reviewed Principles of Marketing. You can click on the banner below to read what the TOS Crew has to say: All information is correct and accurate as of the date of this review. I don’t even remember the last time I participated in Debra’s Read Aloud Challenge over at Footprints in the Butter. It’s been a crazy start to our school year. Some Reading Aloud or er uh listening to an audio book has been happening. Not as much Reading Aloud as needs to happen but some is better than none right? I have mentioned this before but I think it is such a great resource so I am going to mention it again. Ancient Faith radio has a podcast series called Under the Grapevine by Chrissy Hart. A few years ago Dr. Hart read aloud the entire Chronicles of Narnia series. These FREE podcast readings are still available on the website. So we finished The Last Battle and we’ve started The Magician’s Nephew. Speaking of Chronicles of Narnia series We finished listening to the Focus on the Family Radio Drama version of The Lion, the Witch and the Wardrobe and we started The Horse and His Boy. This book is presented after the The Lion, the Witch and the Wardrobe because in the Narnia series timeline it happens while Peter and siblings are Kings and Queen of Narnia. I’d forgotten how much I love The Horse and His Boy I am so glad that I get to enjoy listening to it as well. We or rather Honeybear finally finished reading Charlotte’s Web. Supergirl is naming all creatures Wilbur. Doesn’t matter if it is a pig or not. I see a stuffed pig in future as a Christmas present. Honeybear is now reading Homer Price aloud to Supergirl. Supergirl also got to listen to King Tut’s Mummy: Lost and Found. Mommy read some one day and daddy read some on another day. I’m hoping to finish Mara, Daughter of the Nile. I also want to start God King We haven’t made as much progress in Sonlight’s World History In-Depth part 1 program as I would have liked so we might overlap the end of Mara with God King. Oh we have continued to listen to Story of the World volume 1 on CD. What have you been reading aloud this week? Would you like to join the Reading Aloud Challenge? You can find this week’s post by Debra here. In SCRUBLE Cube™ there are 96 individually rotating letter and premium scoring pegs inserted onto a 4 x 4 x4 cube. The letters rotate to aid in pattern recognition when players are creating words. The cube offers a stimulating single or multi-player environment for spelling words of at least three letters on a single plane or over several faces: 3-Dimensionally. All of the letters have point values and scoring occurs at the end of each player’s turn. Bonuses are awarded for words that have a letter on at least three faces. And that’s the fun and challenge of SCRUBLE Cube: thinking in 3-dimensions! It is quite difficult to move at first. The pieces seem to stick. The instruction sheet included in the box did say that this should improve with use and that was our experience but it did make the first couple games very frustrating. I recommend playing with the cube and just working the tiles for a bit before beginning any rounds. It’s addictive. Well maybe it’s just me but I find myself picking up the cube to just play with turning it to see if I can get the letters to line up the way I want. We’ve had the Cube sitting on a table or ledge and multiple family members pick it up as they pass just to practice turning it. I find it relaxing. Scorecard Template Available. One thing I dislike about games is running out of the included scorepads. Well with Scruble Cube when you use up the included score pads you can print more from the website here. Scruble Cube has lesson plans available! Scruble Cube isn’t just a game or toy. It doesn’t just improve your thinking skills either. You can use it teach academic skills. You can read about the academic and life skills you can teach with Scruble Cube on the Scruble Cube Education tab. You can download lesson plans from the website here. Turlegirl”s Thoughts (age 14): I like it. It is fun. It’s kind of fun to try to make one word and to discover that word won’t work but you then find that you accidently created a word that will work just as well. I think this a good game to play with friends and family. It’s a good mind bender. Tailorbear’s Thoughts (age 12): The only problem is that when you are looking for a certain you can lose your starting point. That’s the only bad thing. It’s fun except when you can’t find a word. I wish it was easier to turn the inside sections. Honeybear’s Thoughts (the Dad): Overall it’s a fun a game. You have to pay attention to where you are trying to create a word. It’s not just a matter of creating a word but it’s the strategy of turning the cube to get the letters to line up. This is different from Scrabble because you don’t have the tiles in front of you. With Scrabble you can rearrange the letter tiles. It’s different with the cube you have to strategize a way to create a word. My opinion: I like the Scruble Cube because it isn’t just entertainment. I like that while having fun, we are challenging our brains. I like that lesson plans are available. If you like challenging puzzles and you like word games, I recommend Scruble Cube . My oldest daughter enjoys mind bending challenges, however, she was overwhelmed and intimidated by the word aspect. She does not enjoy word games the way her sisters do. This was not a game she enjoyed and she tended to sit out when we played. If you dislike word games it is possible that would not enjoy this game. .To see what my fellow crewmates have to say about Scruble Cube click on the banner below: All information is correct and accurate as of the date of this review. Last week my husband took some much needed time off from work. Though our school schedule didn’t allow for us to completely drop school for 3 days, we were able to reduce our work load. Having Daddy home is a treat in and of itself but Daddy wanted to make it even more special. When he was growing up his father would make pancakes for breakfast. These were not ordinary round cakes though. They came in shapes. Letter Shapes. Continuing in the tradition of his father, Honeybear will sometimes make letter shaped pancakes to make breakfast just a little more fun and special. He choose one of his vacation days to make letter pancakes for all of us. And yes even Mom got one too! We’re several weeks into our 2011-2012 school year and I haven’t really set any formal goals for our home school. I’ve got some rough ideas and some basic lesson plans. I think I’ve laid out a frame work of what I want to accomplish. Sometimes it helps me to write it out and this week’s Blog Cruise Topic happens to be What are your homeschool related goals for the year? So what are my homeschool related goals for the year? I think it would help me if I broke it down into parts. Grab a cup of coffee or tea or whatever cause this could get long. To Survive. Yes, I have a general home school goal of survival. My goal is to survive having two in high school, one in junior high and one who defies grade levels. I’ll be searching for ways to overcome home school burn out. Maybe I’ll even blog about them. Assuming I find some ways <grin>. Record Keeping. As I type this I find myself challenged by how far behind I am in my record keeping. Should I even be admitting this out loud? I love Homeschool Tracker Plus and I intend to continue using it but my goal this year is twofold: 1) finish up the records from last year 2)not let myself get so behind this year. Language Arts: We are focusing primarily on writing skills. We’re using materials from Institute for Excellence in Writing. I want her to be comfortable and confident in writing abilities. She’s planning to take the SAT and we’ll be using a program to help her write SAT essays. Weekly or Bi-weekly meetings: My goal it is to meet with BooBear at least twice a month to discuss her Sonlight studies. She is using Sonlight’s Core 300 “20th Century World History” for her Social Studies credit. I cannot read every book but thankfully Sonlight provides extensive notes and a study guide. I want to use those notes and study guides as the basis for some great discussion and mom/daughter time. Consistency: Last year I felt like we did school in fits and spurts. When push came to shove and something had to give, it tended to be Supergirl school that shoved aside. My goal this year is to be more consistent and make her school work a priority. Struture: Supergirl tends to thrive on structure. I think if we have a stronger routine (closer to a <gasp> schedule this will give her the structure she needs and provide a nice frame to build up consistency. Language Arts: We are using Primary Arts of Language by Jill Pike and published by IEW. We’re using both the Reading and the Writing portions. With structure and consistency we should be able to accomplish my third big goal for her this year: printing the letters of the alphabet. Our goals are to be able to write her name from memory as well as be able to do some simple copywork. We’ve been working for several years on foundational skills for penmanship and we are ready to put pencil to paper. Time Management Skills: As Turtlegirl enters High School, she needs to learn how to manage her time to accomplish all her weekly assignments. My goal for her is to be able to give her a weeks worth assignments and have her create her own daily agenda. Managing time is a weak area for many in my family and this year I hope to use a combination of TOS Planner and Homeschool Tracker Plus to teach Turtlegirl how to divide up her work and still have time to play. Finishing what we start: If we start a project or a book or a paper or whatever, I want to see it through to the end. This is as much a character goal as it is a home school goal. Tailorbear has lots of great ideas but unfortunately she inherited her parents flaw of lousy follow through. Extra Reading: I don’t just want to read aloud to her the books scheduled by Sonlight to read aloud but I have some books on my Nook that I would love to read aloud to her .There are also some books that she could read alone. So moving beyond merely surviving the school year, I want to deepen my relationship all four of my daughters and choosing to home educate is one way to build our relationship. So today is Saturday. But not just any Saturday. Today is Bountiful Baskets Saturday. New shipping routes/company means new pick up times and a (new to us) location. So at oh dark thirty Honeybear and I roll out of bed, throw on some clothes and plan to exit house to pick up produce. He opens the door. We both go.. Aaaahhh! And he slams the door closed. We peek out the peep hole and decide those are NOT moths attracted to the front porch light. I am sure they are some type of stinging insect but the behavior seems unusual. The sun has not risen but they are active! We exit through a different route and pick up my baskets of produce. (I “contributed” for 2 conventional baskets and 1 Asian pack. Lots of veggies and some fruit. Good stuff.) After we returned home and entered through alternate route, Honeybear investigated. The porch light was off and the creatures had settled down ON the light globe. It was still early enough that they were not real active so Honeybear, armed with spray, decided to kill the ones on the porch. Ewww! Yuck!!! Creepy! I was going to post a picture of the carnage but well I couldn’t handle looking at dead “bee” bodies. Ewww! Later in the afternoon though, Turtlegirl and Honeybear made a much more pleasant discovery. They were doing some yard work and when Turtlegirl went to start weeding she noticed 3 baby bunnies scurrying away. They “hid” in the area near the front porch. See the weeds? The weeds need to go but we decided that it would be better to leave the weeds and not frighten the poor babies. The baby bunny in this third picture is very hard to see. It’s cowering in the corner. I expect wildlife in my back yard. We have a forest back there (really! There’s just a chainlink fence between our back yard and a forest). We’ve had squirrels (both gray and little black ones), rabbits, possum, raccoons, honeybees, and lots and lots of birds that have lived or visited us in the back but now we have nasty stinging things and cute little baby rabbits in the front. At least the baby bunnies are adorable!